Not so long ago, the very idea of playing online casino games on mobile devices sounded far-fetched but know most software developers have adapted their game to work on such gadgets. Another step forward in this industry was the introduction of live dealer games in online casinos, which combines the fun of playing against a real person and the convenience of competing from home. 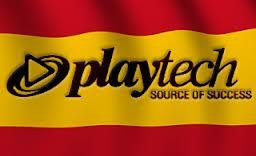 Now it looks like Playtech is ready to offer these players the best from both worlds by introducing mobile live dealer casino games. This is more than an experiment and several online casinos that use their software have applied for a license, so in a not so distant future, all of their players will be able to play live dealer games on smartphones and tablets. The advantage of importing some of the most popular titles on mobile devices is obvious, as the number of players will increase dramatically. Since you’re no longer limited to playing slot games, blackjack or roulette from your desktop or laptop, it’d be much easier to spend some quality time regardless of your location. Many players who are still reluctant to venture real money on games where the outcome is determined by the random number generators, will also find live dealer games more appealing. For now, only roulette will be available on mobile devices using Android operating systems, but in the foreseeable future new games will be added for both iOS and HTML5. Players will require fairly powerful smart phones, but with top-tier devices being similar in terms of computing power with traditional computers, this won’t be a problem for online casino games enthusiasts. Pretty much all games that are available these days in online casinos for download or instant play, would also have mobile versions, so players won’t have to settle for subpar titles. Playtech continues to innovate the industry and it makes perfect sense for the software developer to be the one to introduce live dealer games for mobile devices. The mobile platform will accommodate new titles on a monthly basis, as chief operating officers and the managing director expressed their support for this revolutionary change. Less than two weeks remain until Valentine’s Day, but software developers such as Rival Gaming don’t waste a moment and invite players to get in mood with a brand-new online slot. It goes by the name of Burning Desire and it has already gone live at Spin Palace, where it promises to make people rich and happy well before the festive day. It is not only the fact that some players have won tens of thousands of euros already, that makes this slot game so attractive, but also its special theme. 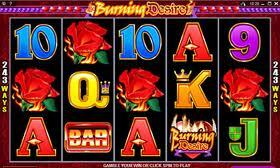 Since the first version was introduced more than a year ago, Burning Desire has been constantly updated so that it comes as no surprise that it is still an immensely popular game at Spin Palace. There are some rumors that the online casino plans to retire it soon, so if you want to experience the thrills and compete for serious cash, this is the time to do so. There are 243 ways to win, and many free spins with increased payouts are also on the menu, so the odds of leaving empty-handed after a play session are minimal. The developers are already planning to replace the aging slot game, and there are a couple of candidates that seem to be suitable for this job. Some of them are even revolving around the same theme, with Starlight Kiss standing out from the crowd. There are many similarities between these two slot games, with both of them being regarded as romantic games, hence perfectly suitable for Valentine’s Day. This means that we are entitled to expect both of them to run at the same time, so those who plan on properly celebrating this day have plenty of reasons to start playing one of these two slot games right away. The wild, scatter and bonus symbols are all aimed at creating the appropriate setting, while the reels are decorated with equally consistent signs. The special features have inspired names such as Romance Bonus or Romance Meter, and when they are triggered they deliver consistent payouts but also captivating animations. Burning Desire is available in both download and instant play, so it is only natural to expect its possible replacements to work in a very similar manner.